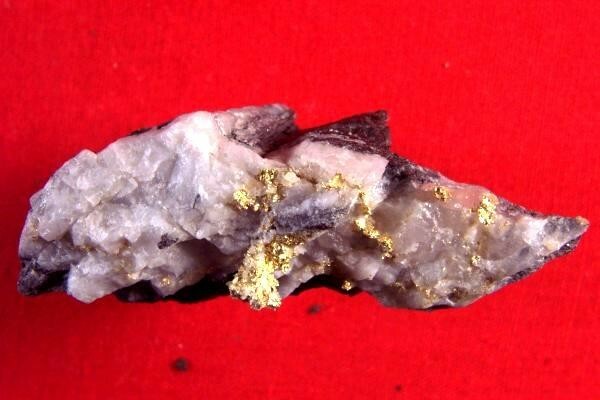 This is a gorgeous gold in quartz specimen from the famous Harvard Mine in Jamestown, California. 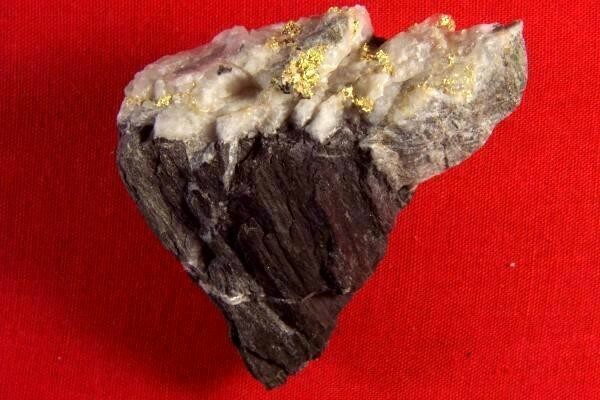 This beautiful gold specimen is loaded with nice outcroppings of brilliant crystalline gold. And look how it is sitting on top of a gorgeous piece of black graphitic slate. You can also see a couple of thin quartz veins running through the graphitic slate. Amazing and rare! At 1.8" long x 1.75" wide x 3/4" thick it weighs a very hefty 38.3 Grams. 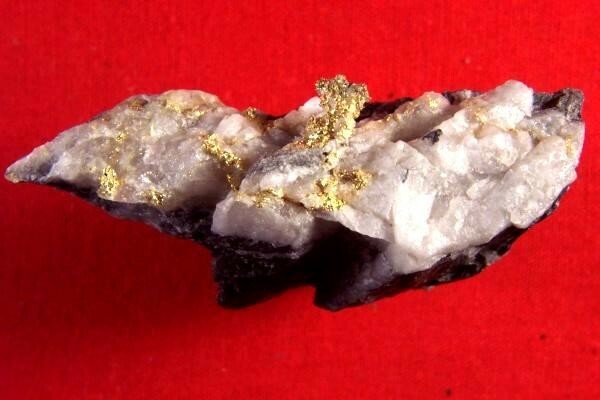 It is a very unique and rare gold in quartz specimen and it's black, white, and gold contrasting colors will make it a focal point in your collection. 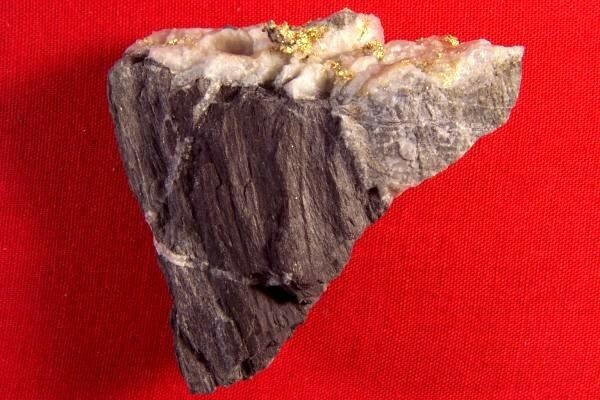 The Harvard Mine closed in 1994 so gold specimens from this location are hard to find for sale.